A mite causes this common skin condition. This eight-legged bug is so small that you cannot see it on the skin. 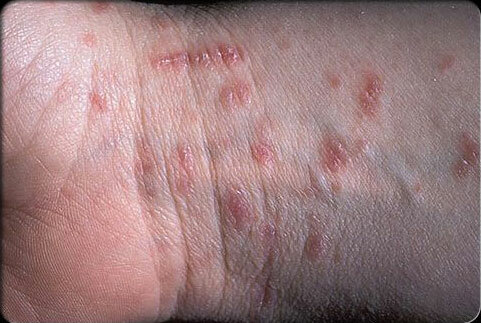 People get scabies when the mite burrows into the top layer of skin to live and feed. When the skin reacts to the mite, an extremely itchy rash develops. This mite can travel from the infected person to another person. Most people get scabies from direct, skin-to-skin contact. Less often, people pick up mites from infested items such as bedding, clothes, and furniture. The mite can survive for about 48 to 72 hours without human contact. Anyone can get scabies. It strikes people of all ages, races, and income levels. People who are very clean and neat can get scabies. It tends to spread easily in nursing homes and in creches. The good news is that a dermatologist can successfully diagnose and treat scabies and with the right treatment, it clears up quickly and completely. It is important to know that even after the mites have been killed by treatment, itching usually carries on for a few weeks before settling. Visit Atlantic Dermatology and Laser to receive treatment for this uncomfortable condition.